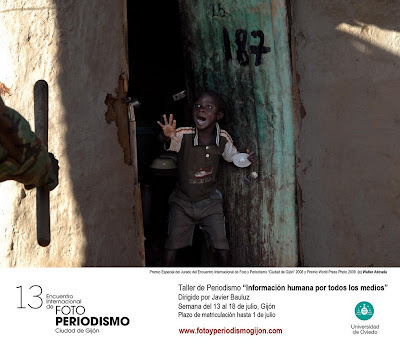 The 13th International Festival of Photojournalism “City of Gijón”, will be held in Gijon, Spain in July, from 10th to 19th. Gijón is a seaside town in Asturias, located 450 kilometers north from Madrid. During the “Semana negra”, the Culture and the “Fiesta” are linked in a singular event. Around one million people, including dozens of writers, journalists, filmmakers, and photojournalists from all over the world, will take part in lectures, concerts, debates, exhibitions, and celebrations which are held in a closed area of two square kilometers. The theme of all projects is open. The dead line to receive projects is 10th of June, 2009. 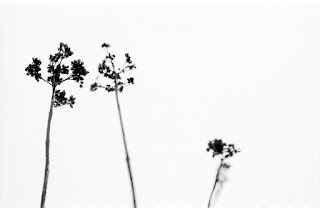 Each project must consist of at least 40 photographs and a maximum of 100. The photographs must be numbered by order and with a generic title accompaning each one.